The Legend Returns is Final Fantasy XIV's new update, players can now buy housing in Shirogane, as well as relocate their housing there. This update is now available on various platforms. Not only adds new elements, but also comes with The Drowned city of skalla dungeon. Specifically, the patch 4.1 adds a big new alliance raid, called Return to Ivalice, which involves an airship, the land of Ivalice and some cool-looking creatures. This update is now available and there's quite a heap of new content for player to sink their teeth into. You can go to website to watch the patch's trailer and check out some scenes from the update. This is the latest major content update since the game's big expansion. Square Enix has done a good job of expanding on the narratives of the main characters long after the game's release and these quests continue the trend, following Lyse after the liberation of Ala Mhigo. 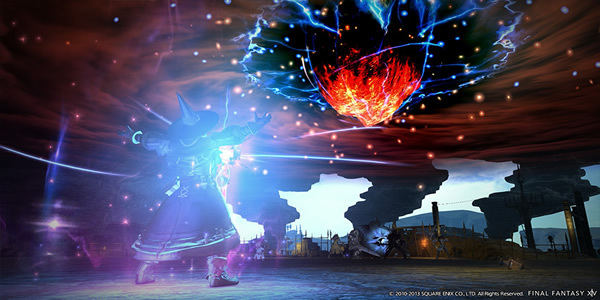 For full patch notes and details, including the tweaks and additions to things like casting and summoning, stay tuned FFXIV4Gil. FFXIV4Gil is specialized in offering safe and cheap Final Fantasy XIV Gil and FFXIV Power Leveling for a long time, in the long history, we built ours unique and humanized service system, as well as well-known and good reputation. We have always teamed up with other suppliers, and learn more from them, ours aim is to be the best Final Fantasy XIV Gil seller.